If you are a major gamer like me, the thought of a mobile game with lightning fast gameplay and sharp graphics should be enough to have you salivating. While the Sony Ericsson Xperia Play (which is compatible with the PlayStation suite) is yet to be released, gamers must satisfy their mobile gaming itch through other means. Enter the TegraZone, an app on the Android Market that curates games optimized for NVIDIA's Tegra 2 chipset. We've only seen the Tegra 2 on two mobile phones thus far (the Atrix 4G and the T-Mobile G2x), but the dual-core chip definitely makes a difference in terms of phone performance in terms of multitasking and video play. But how does it handle gaming? I decided to test out each of the available TegraZone games on the T-Mobile G2x to find out which (if any) are worth your hard-earned money. Immensely popular on the iPhone and iPad, Fruit Ninja has you slicing and dicing rogue fruit that pops up on your screen while avoiding the bombs that are also thrown your way. While the game doesn't actually have anything to do with being a ninja, it is still pretty fun to play. 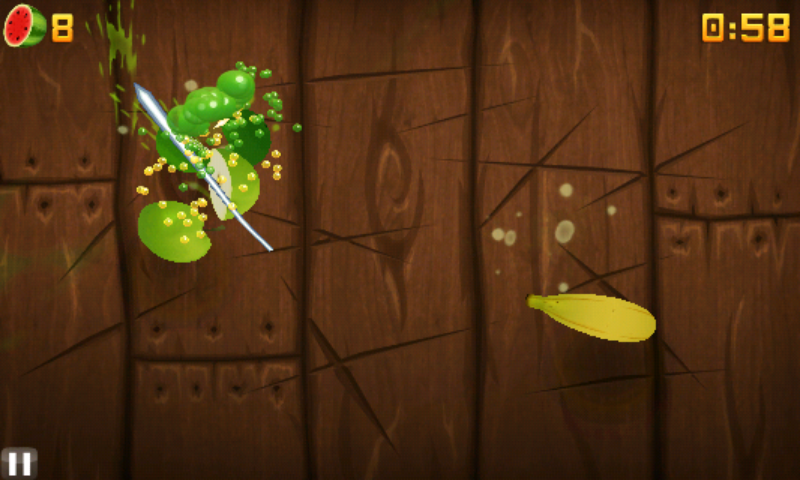 If you've ever played the game, Fruit Ninja THD is essentially more of the same but with slightly improved visuals. The game was only slightly sharper than the regular version I had running on my Droid Incredible, but looked nowhere near as good as the standard edition did on my 4th generation iPod Touch. Bottom Line: I would suggest saving some money and just going with the $1.25 standard version of the game. Unfortunately, Samurai II would crash every time I tried to launch it on the G2x. Might be worth keeping an eye out to see if the developer updates the app to resolve this issue. Bottom Line: For now, skip it unless you want to pay for an unplayable app. 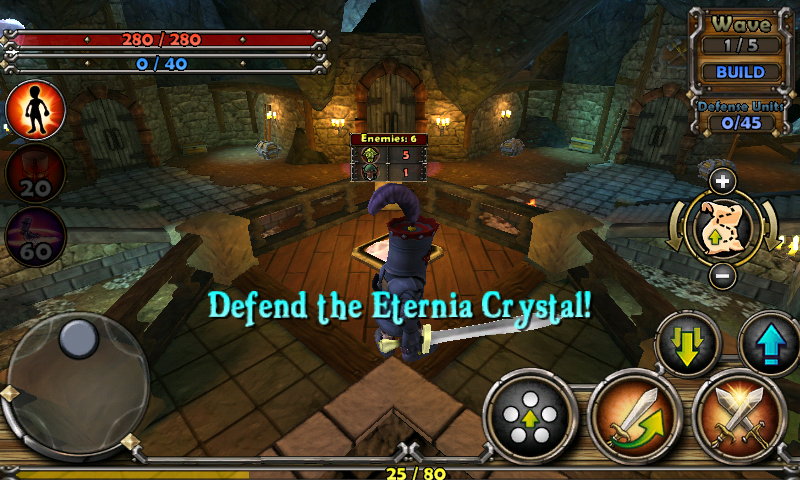 The mobile version of a game available on the Xbox 360 and PlayStation 3, Monster Madness is an eyesore. The game places you in the shoes of one of four characters to fight wave after wave of monsters. While this sounds fun on paper, the dull and repetitive gameplay manages to make the whole thing a chore. The voice acting is terrible to the point where you want to turn all sounds off. The game does feature Co-Op, which requires that you and a friend be connected locally via Wi-Fi to team up and fight zombies together. Why you would want to torture a friend with this game, however, is beyond me. Bottom Line: Avoid it completely. Currently the only free game in TegraZone; Dungeon Defenders is one part tower defense and two parts hack and slash RPG. Your job is to build turrets to defend a crystal, while you use your character to mop up and stragglers. You can upgrade your character's gear as well as your turrets, though I recommend watching the tutorial as things can get confusing as you delve deeper into the customization options. The game ran quite smoothly on the G2x, though it still looked slightly better on my iPod Touch. Building turrets and planning my defensive strategy was fun, but using my character in combat was not. 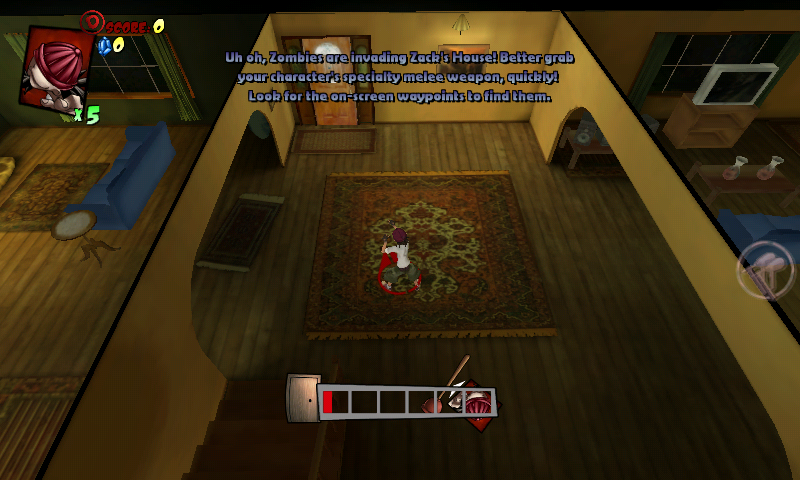 The game's targeting system would often choose an enemy on the other side of the room, even if there was a baddie right in front of me. I found it best to just sit back and let my turrets do all the work. Bottom Line: A unique take on the tower defense genre, it's worth checking out. Backbreaker is definitely the best looking game in the TegraZone right now. Textures looked rich and motions were fluid. That said-it's not a very fun game. Backbreaker is a football game where you try to score a running touchdown without being tackled along the way. Unlike other, fully-fledged football games like the Madden series, you can't choose plays and there are no other modes you can play. Every time you score a touchdown, the game puts you further back on the field and adds another player who is trying to tackle you. After just a short time, you'll probably just want to put the phone away and go outside to actually play football rather than do the same thing over and over again. Bottom Line: Gorgeous visuals, but you'll probably have more fun playing the real thing. Even if you really love solitaire or spades, I really cannot justify shelling out $5 for a game you can find free all over the Android Market. Even with the 3D effects of the cards and achievements, the game is still the same. If you want a realistic-looking game of solitaire or spades, I suggest buying a real deck of cards. They'll be cheaper plus you can use them for other games (like poker). Bottom Line: Why pay more when there are plenty of free alternatives? I suggest downloading one of those instead. If you do decide to check out any of the games currently available in the TegraZone, I would recommend using Wi-Fi since a few of these apps require you to download several hundred megabytes of additional content. In its current state, the TegraZone is largely unimpressive. Very few of the games really show off the Tegra 2 chipset, and those that do are not very much fun. However there are still more games on the way to the TegraZone and that gives me some hope that gamers will one day be able to enjoy quality gaming on a mobile phone. For now, my phone is nowhere near replacing my Nintendo DS for my mobile gaming fix.